Happy Birthday to Me -- turned 36 today! 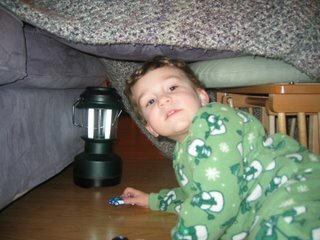 I wanted to share some photos of Zack -- we built a tent out of couch cushions and a blanket and then got our camping lamp for him to feel all grown up -- he's just the cutest thing ever! We looked, and love it. The front porch is deep enough that you could sit on it in a rain storm and not get wet – I’ve always wanted a wrap around porch like that. Has a porch swing already, too! 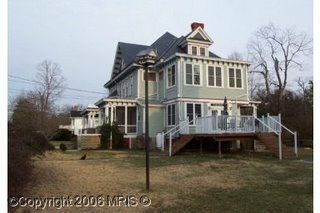 The roof is slate, great condition, and the yard is nice. There’s a huge carriage house out back that could be used as a garage, but it looks to be full of stuff that was there when the house was built (in 1901) – I’d love to dig through it all. 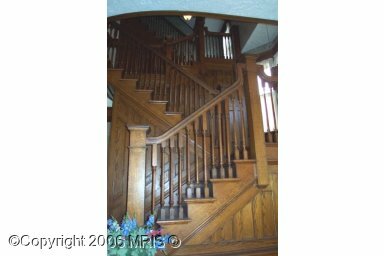 The entry way is a double entry – doors into a tiny tiled foyer, then doors into the house. 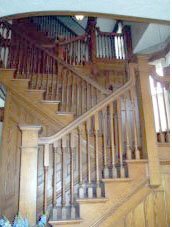 The main foyer is amazing – tiger oak walls and stair case, which goes up three floors. Sitting room to the left (they had a grand piano in it, which Zack LOVED), big family room with fire place (the walls in that room were painted deep burgundy, with a door to a side porch), big kitchen that had glass-fronted cabinets and back stairs to the upper level, large dining room – and a room that I guess is a pantry, but it’s huge! It had some built in oak cabinetry in there as well. There was a full bath on the first floor, too, but it was completely modernized. 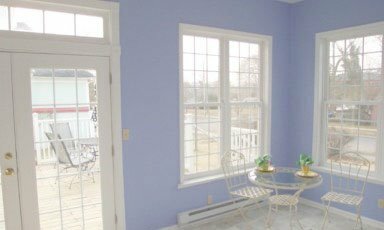 Off the kitchen was MY room – a sunroom painted periwinkle blue/purple with enormous windows that opened up onto a new deck they built. That room is just crying out to be a studio! On the second floor there were five bedrooms (I think?) – maybe four, but one room was converted into a closet – over time it would probably get converted to another bathroom. 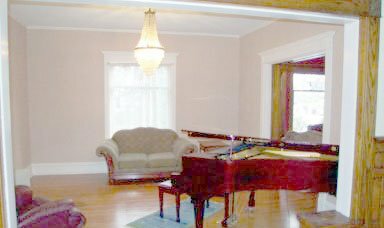 The master bedroom had a small powder room (no shower or tub) but the main bathroom had a gorgeous old slipper tub, mansard windows, old tile – so pretty, and really big! Then there was the laundry room (painted bright pink, I loved it!). The third floor had a room that was converted into a cedar closet, and a couple more bedrooms, but we would shut the entire third floor off – this house is a monster and we wouldn’t want to heat or cool the whole thing! Kids would love to play hide and seek here! The basement was actually finished, which (in our limited experience with old houses) is unusual. Had a couple of “scary” closets, LOL. Pros, it’s public sewer and water, so no hand-dug well to contend with as in the other old houses we’ve looked at. Cons, it’s a total hodge-podge of electrical/heating/cooling options. The lights aren’t switches, they’re push buttons, lots of outlets are not grounded, and we think the 2nd floor is the only one that has a/c, but we aren’t sure. Bottom line, we’re really interested. It will take a little work, over time, but there’s not a thing that has to be done in order to move in and be comfortable. They’ve taken great care of it – the wood floors are in terrific shape, and their paint choices are what I would pick. Even the old, old wallpaper is on the right side of quaint! 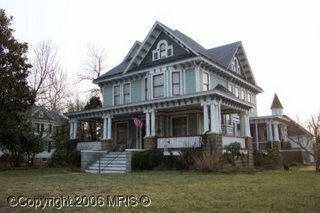 It’s the sort of house that we can afford because it’s in Denton – if it were in Easton, it would be upwards of a million dollars, easily. So we’re going to put together a list of questions to get answered and see what happens. It’s always been for us that the right thing happens, so we’re not getting to nervous or frantic – but what a pretty place! Q:How many listmembers does it take to change a lightbulb? 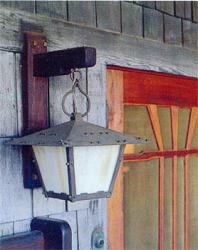 A: One to change the light bulb and to post that the light bulb has been changed. Thirteen to link all posts to date, quote them in their entirety including all headers and signatures, and add "Me too". 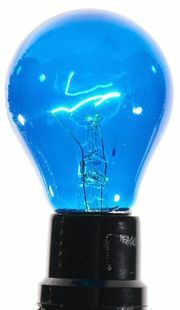 Thirteen to say "do a Google search on light bulbs before posting questions about light bulbs." One group lurker to respond to the original post 6 months from now with something unrelated and start it all over again! Rick went to look at the house today -- it's a great house, but is an older house (lots older, which is actually what we'd love) but with that comes the typical older house problems -- in this case, lack of bathrooms. 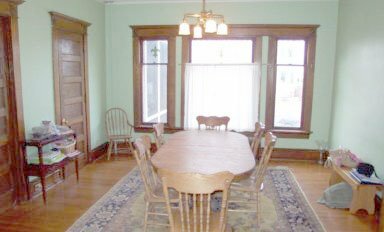 It only had one in the main house, and one in the guest house (perfect studio) and at the cost of the house, we couldn't see putting another huge chunk of change to add on. So a pass on that one. He also looked at another old house that's being redone, but not sure yet when it will be on the market, and I think it has the same issue. Tomorrow is the first show of the season, in Annapolis, where I've not done a show before, so will hopefully be getting some home show sign ups, since it's more or less local. 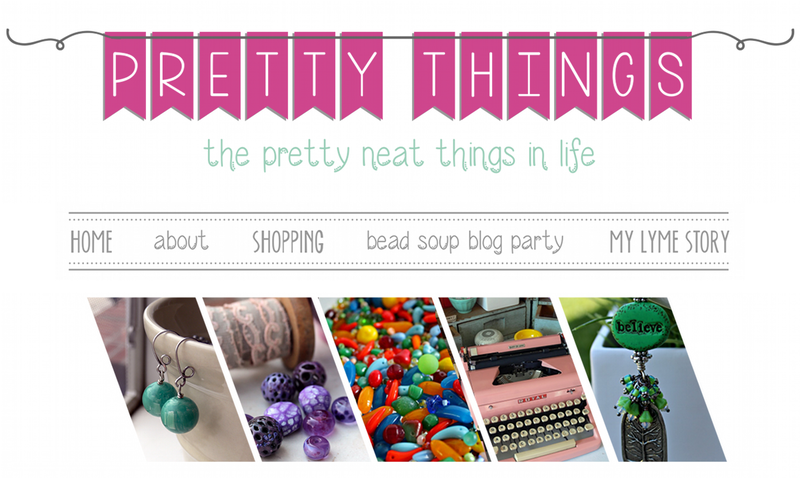 I'm also excited about changes in the web site! I have been working with www.pappashop.com since the end of last year to incorporate a shopping cart into my existing web site. 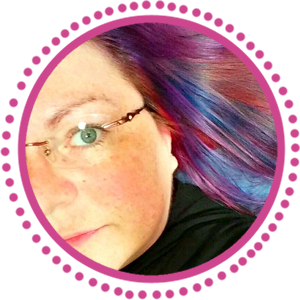 They'll be transferring it over any day now, so I'll be up to my neck getting the new site populated with pretties to look at, but it will be worth it! I have really enjoyed working with Alex at Pappa Shop. They are lampworkers so they know exactly what beaders need in a web site! There's going to be a learning curve for me, but ultimately, it should save me a LOT of time, which can only be good for my customers. Less time on the computer is more time at the beading table! 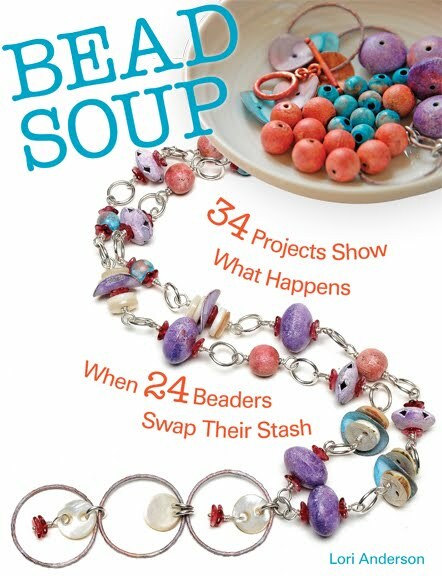 Beading -- my mind is bursting with ideas. My vintage bead drawer is packed to bursting and I really, REALLY need to work with that, especially some pretty lucite I got that will be perfect for spring. I want to try some more wire things with these huge lampwork focals I have, and then I have some gorgeous "gemmy gems" like citrine that I want to give a proper design to. So much to do. And still trying to fit in classes somewhere. The Torpedo Factory has a bunch but that's a pretty decent drive. And there are so many I am interested in, hard to pick! OK, enough randomness for tonight. Still have to pack up for tomorrow's show and it will be an early day for this night owl. 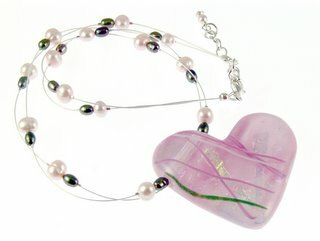 Visit www.lorianderson.net for a great selection of handmade beaded jewelry! 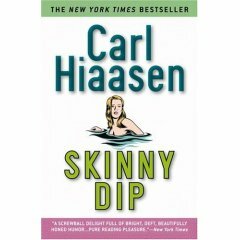 Will be finishing a FUNNY book tonight -- Skinny Dip by Carl Hiassen. It reminds me a lot of Dave Barry's Big Trouble -- and I'm enjoying it immensely. Basic synopsis -- idiot husband tries to kill his wife by tossing her overboard -- she lives, is rescued, and sets about driving her husband crazy -- he doesn't know she's alive, and she is having serious fun messing with his head. That doesn't sound like a comedy, but you have to read the book. On the house front -- still looking. We know it's going to take a while as we won't move unless the PERFECT house appears, as this will be our last move. Rick is going to go look at a house on Friday (I'll be at a friends' across state so can't go). And we also looked at a development that's being built. I still have no idea of the time frame - who knows, could be next year, or next month. 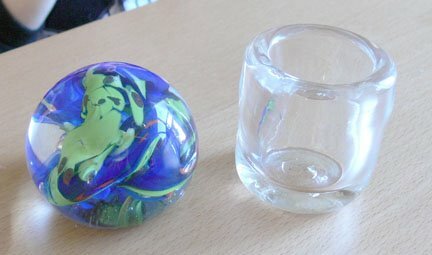 Where ever we go, we want studio space for me, as I still haven't decided what to do about lampworking -- do it, don't do it -- or PMC, or metal smithing, or any number of things I'm interested in. 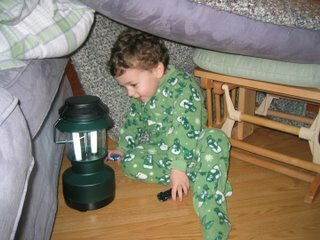 Or we can turn the studio into a huge playroom for Zack, who knows! That's the fun part of life, the adventure. The first show of the year is this weekend, too, so have to prepare for that. It's a small one, a fund-raiser for ovarian cancer, but I've sent out postcards and have already gotten notices from customers who are coming and have things they want to see. I have so much stuff that's not on the web site -- there's just not enough time in the day to post it all -- but I am still working like mad to have tons of stuff since I have about 10 shows this year. 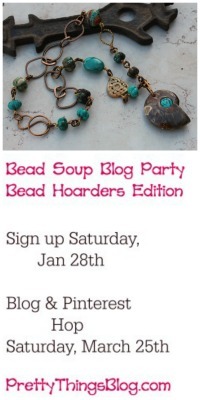 Exhausted -- been working all day packing beads for people and haven't posted in a while. 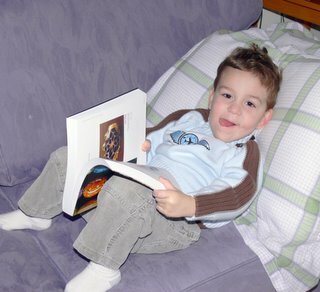 Off to bed to finish that book! 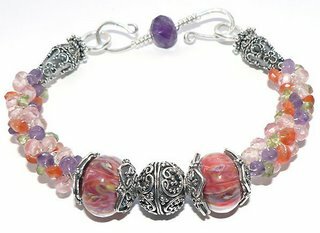 Visit my web site, www.lorianderson.net for handcrafted beaded jewelry -- Jewelry that makes people ask..."Where did you get that?" Last night I was working on the web site in my office when I hear Ryan, my 22-year old stepson (he was in for a couple days Spring break from his PhD program), reading Dr. Seuss to Zack. 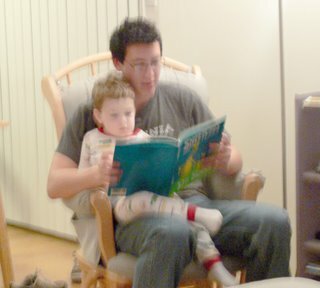 I peeked around the corner and it was just the sweetest thing -- Zack sitting in Ryan's lap, and Ryan reading to him. 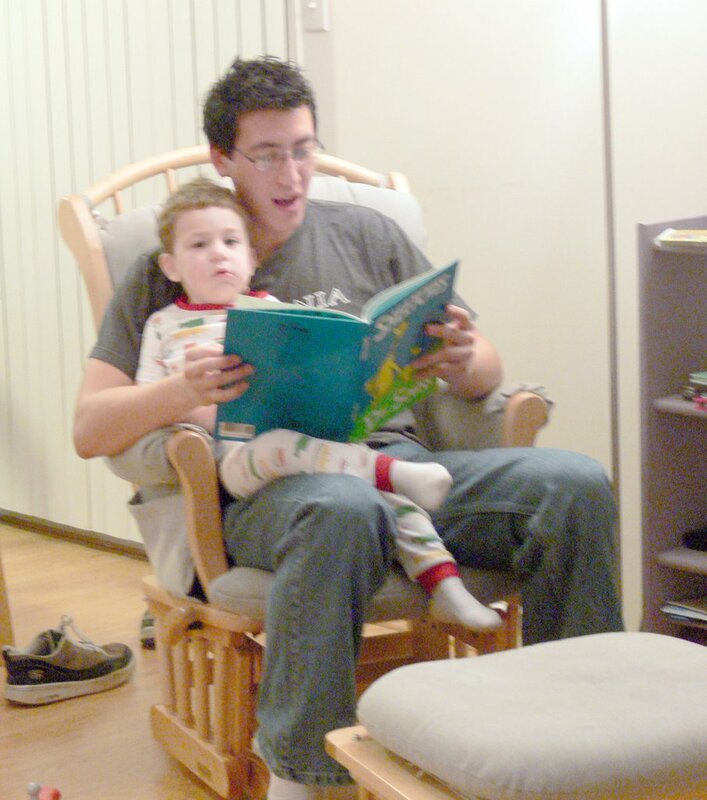 He SO loves his big brothers, and misses them terribly when they're away at school. The photo is blurry (they were rocking, and I couldn't figure out my new camera fast enough) but you get the idea. It did my heart good. Today I met up with Lesley and Jen in Olde Towne Alexandria -- what a great day! The weather was fabulous, and we got to do a lot of shopping, have a terrific seafood lunch on the water, and have some good quality "girl" time. We visited Arts Afire -- awesome glass shop, with a TON of beads from well-known lampwork artists -- Stephanie Sersich, Heather Trimlett, Kim Fields -- all very inspirational! I managed to keep my purchases to a minimum (tax season, ugh!) but plan on going back! Visit my web site, www.lorianderson.net, for creative beaded jewelry, custom designed for you! I read two books this weekend -- Mary Mary by James Patterson and The Twelfth Card by Jeffrey Deaver. The James Patterson book was an Alex Cross novel, so I enjoyed that -- often Patterson's books are so transparent you figure out the whodunnit way in advance, but I liked this one. I've been a big fan of Jeffrey Deaver, read everything the man ever wrote, and this book was pretty good, although there were a couple really unbelievable plot twists that I didn't think he needed to throw in there. 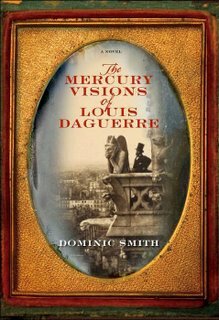 Went to the library today and forgot my book list so I picked up a book at random, and it looks like it will be interesting -- The Mercury Visions of Louis Daguerre . It's historical fiction, about the man who invented the daguerreotype. All the mercury that was used for those made him go mad. Mercury was also used by hat makers (hence the origin of the phrase, "mad as a hatter") -- frightening that they didn't know how dangerous mercury was back then! The one little bit that I read before deciding to check the book out described Louis rolling a KEG of the stuff down the street back to his studio. Books -- there are so MANY I want to read! A friend of mine says that beautiful lampwork glass beads are lickable -- Zack feels the same way! His new favorite book is 1000 Glass Beads -- and I can only hope that we'll have a mommy-son partnership in glass beadmaking one day!